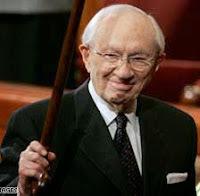 In this message, President Hinckley shared the experience of being asked why the Church of Jesus Christ doesn't use the cross as a symbol like other Christian churches. He explained that while the Savior's voluntary giving up of His life is a crucial part of the Atonement in our theology, the other aspects of His sacrifice and particularly the Resurrection provide so much power and understanding. It was "the greatest miracle of human history." 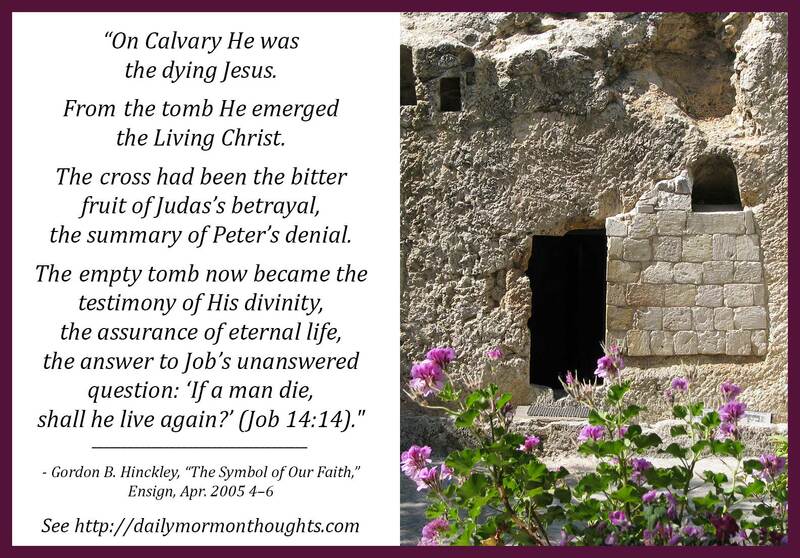 President Hinckley's main point is that there is no symbol that can adequately represent the depth of our love and appreciation for what took place on the cross and in the tomb. Instead, the best representation is the lives of his followers. Their actions, deeds, and Christlike charity become the symbol of the Living Christ. The traditional LDS rejection of the symbol of the cross was a rather late development. It emerged around the turn of the 20th Century, and wasn't institutionalized until 1957. 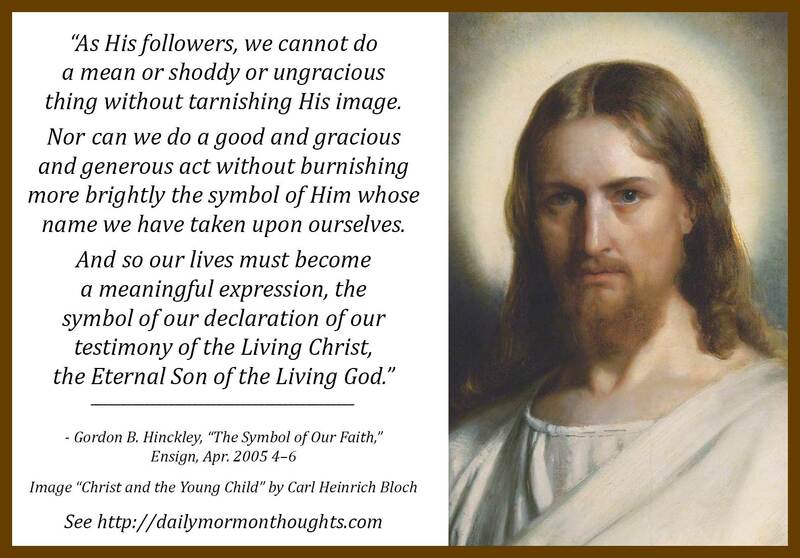 Prior to this time, many LDS (including Church authorities) embraced and promoted the symbol. For example, in 1916, the Presiding Bishop of the Church, Charles W. Nibley, petitioned in behalf of the First Presidency to erect a cross monument on Ensign Peak, in behalf of the Utah Pioneers, who were quickly dying off. The basis of the no-cross-protocol was anticatholicism. If you are interested in my research on this topic (which originated as my MA thesis), I invite you to see my book, "Banishing the Cross: The Emergence of a Mormon Taboo." If you are in Utah, BYU, USU, and the Church Library have my book. And of course, the book is available on Amazon, sold by FAIR, and other local Utah Bookstores. I believe Confetti and Benchmark bookstores have it... but I'd call to confirm that this is the case. Otherwise, you can listen to one of my many podcast interviews, or read newspaper articles that covered my work from the SL Tribune, Deseret News, Ogden Standard Examiner, and the Herald Journal. There are also blogposts and and Mormon Studies journal reviews about my book. There is also a youtube video available, under my book's title. Best regards, Mike Reed.